Another year has flown by, and here we are again, counting down the final days until Christmas. I am sure you are busy with finalizing things at work and getting everything ready for the holiday, hurrying around town doing last minute Christmas shopping (or is it just me? ), and drinking glögi or mulled wine at various Christmas parties, so I will keep my message to you short. The year 2017 has been a uniquely amazing year for Finland all around as we have had the historical chance to celebrate our beautiful country’s 100th independence year. Here in the UK we have had quite a busy event calendar full of a various Finland 100 events to celebrate this momentous year, as well as our many other events. The crowning jewel for us was our Finland 100 Independence Day Ball at The Savoy Hotel in November. It was wonderful seeing so many of you there, both old and new friends. We hope that next year we will still continue on the same high note that we ended this centenary year and I hope to see many of you at our events in 2018. For this Holiday season I hope you all get the chance to relax, take care of yourselves, and spend time with your loved ones recharging your batteries for 2018. Finally, I want to give my warmest thanks to our members for your support this year, to our event guests for attending, and all our friends for following our journey. The best part of my job is meeting you and hearing all your stories. 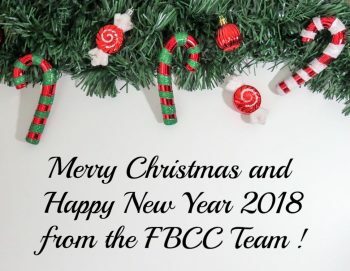 A very Merry Christmas and a Happy New Year from the FBCC team!